This article discusses the recent economic data of the #Ministry of Economic Development and Trade of Ukraine concerning trade with #African nations in 2015. 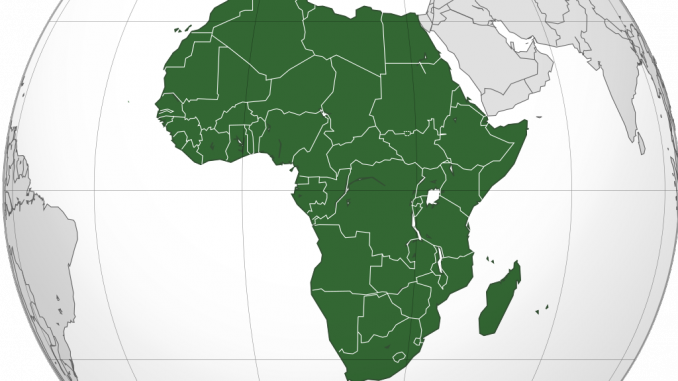 Trade turnover between Ukraine and African countries increased in 2015. Moreover, Africa remained one of the few trade partners of Ukraine with which Ukraine had positive trade balance (approximately USD 3.2 million). While the amount of trade turnover was USD 4.41 million, there was decrease of 23.7% in the amount of trade between Ukraine and African nations in comparison with the respective data from 2014. However, the share of Africa in the economy of Ukraine reached 5.8%, which is higher (by 0.5%) than in 2014. The Ministry of Economic Development and Trade of Ukraine emphasized that African continent has great potential and is often underestimated by Ukrainian exporters. We note that the Minister of Agrarian Policy and Food of Ukraine recently stated that Ukraine will seek to conclude an agreement on free trade zones with the Economic Community of West African States (ECOWAS). The Minister noted that the West African countries experience considerable growth of their economies and population, which results in higher demand for agricultural products. This is especially vital for Ukraine, which mainly imports wheat, corn, barley, sunflower and soybean oil, residues and waste from the food industry, condensed milk, oilseeds, etc. to Africa. While the growth of Ukrainian export to Africa has increased more than 24-fold since 1996, it is expected that launching of the free trade zones will lead to unprecedented increase of trade between the African nations and Ukraine. The Minister added that Ukraine is specifically interested in the market of Nigeria, which is one of the largest economies in Africa.